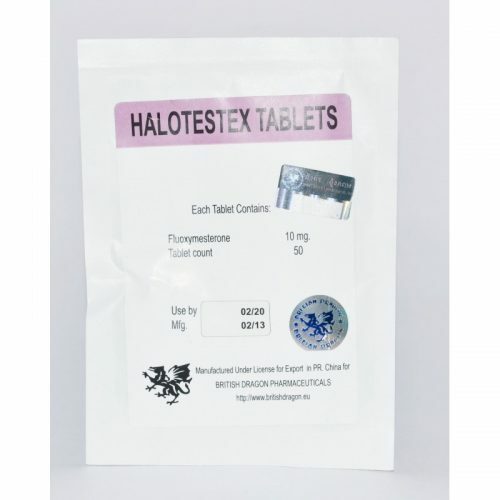 Halotestex (Fluoxymesterone) – oral steroid made by British Dragon, similar in its structure to Methyltestosterone, but more powerful than 5 times. Originally used as a drug for the treatment of male hypogonadism, but later was abandoned this practice because of an extremely strong toxicity to the liver. But now the main area of ​​the drug – increase in power rates (clearly marked), an increase of aggression before competition (due to a very strong androgenic activity), as well as an increase in the density of muscles. It is used, mainly, in powerlifting, bodybuilding, boxing. Especially it is liked by powerlifters. Very toxic to the liver. Taking Halotestex is reasonable just before the competitions, starting 2 weeks prior to them. The daily dose – 10 mg/day, it is permissible a dose of 20 mg/day, higher dose has extremely unpleasant side effects. Halotestex cycle, even for two weeks significantly affects the production of testosterone, therefore holding PCT of anti-estrogens after the cycle is strictly necessary. No less is required and liver cleansing, because the drug is highly toxic to the liver. 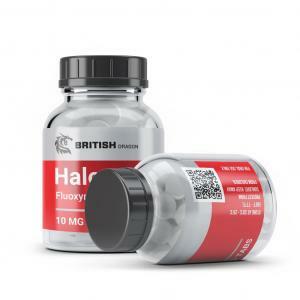 Athletes who do not exceed a dosage of 20 mg/day and used the drug for two to three weeks leave positive reviews about Halotestex, noting the enormous increase in power performance. However, many in the Internet are negative reviews about Halotestex tangential side-effects such as acne, liver extremely poor performance on the cycle. This is due both to the individual response of the body, and the doses that are used by athlete.